On 4 July 1945, Mao Zedong asked the educator and progressive political activist Huang Yanpei (黃炎培, 1878-1965) what he had made of his visit to the wartime Communist base at Yan’an in Shaanxi province. Huang lauded the collective, hard-working spirit evident among the Communists and their supporters, but he had his doubts about whether the wartime frugality and solidarity could last. He predicted that the revolutionary ardour of the Communists could well wane if they ended up in control of China, and wondered out loud whether the endemic political limitations and blemishes of earlier Chinese regimes would return to haunt the new one, despite the best efforts of its committed idealists. We have found a new path; we can break free of the cycle. The path is called democracy. As long as the people have oversight of the government then government will not slacken in its efforts. When everyone takes responsibility there will be no danger that things will return to how they were even if the leader has gone. In 2018, seventy-three years after Mao met with Huang Yanpei in Yan’an, Xi Jinping was acclaimed the unquestionable leader of the People’s Republic of China; his role was hailed as 定於一尊 dìng yú yī zūn, ‘The Ultimate Arbiter’ — an ancient imperial epithet famously used to describe the unchallenged power of Ying Zheng (嬴政, 259-210 BCE), First Emperor of the Qin dynasty. Xi was also bestowed with the equivalent of lifetime tenure as chairman of the country’s party-state-army. Mao’s bold claim that the Communist Party would break the cycle of Chinese history was up for debate. Ever since the collapse of the last dynasty in 1911, ‘Empire’ — or 帝業 dì yè, ‘the imperial enterprise’ in traditional terms — has been a source of anxiety for China’s political leaders, revolutionaries, thinkers, business people, journalists and citizens. Sun Yat-sen, the revolutionary leader who became first president of the Republic of China, warned that even some of the revolutionaries around him regarded the restoration of dynastic rule and empire was inevitable (for more on this, see below). For his part, Mao Zedong — a man mocked in the republican government’s wartime capital of Chungking for expressing imperial ambitions — was obsessed with the possibility of a restoration, 復辟 fù bì, of the ‘semi-feudal and semi-capitalist’ past. After the Communist state of the People’s Republic of China, history, and how it was recounted according to Party dogma, was a central feature of national life. 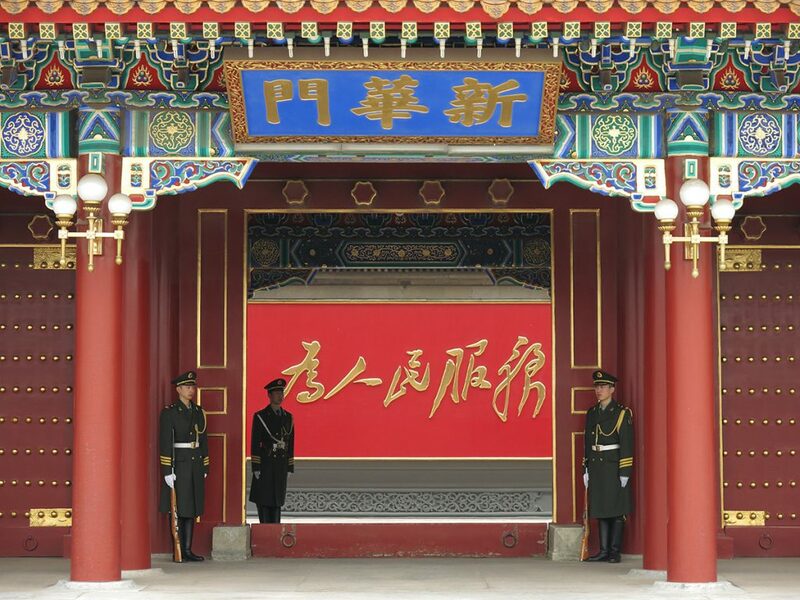 Since Mao’s death in 1976, Party leaders, thinkers and historians have recalled the Chairman’s 1945 exchange with Huang Yanpei, and they have been increasingly obsessed with the issue of 興衰 xīng shuāi, ‘the rise and decline [of rulership]’, an expression famously used by Sima Qian (司馬遷, 145-? BCE), the Grand Historian of the Han dynasty, in describing his understanding of political fortunes. Internationally, the question of ‘the imperial enterprise’, 帝業 dì yè, is relevant to discussions about the nature of the Chinese polity, its internal constitution as well as its global ambitions. Therefore, a consideration of China, Empire and ‘Translatio Imperii’ — the transfer or transfiguration of rule or authority over time — in twenty-first-century China, may offer surprising insights into an old country dominated, for the most part, by a still-new people’s republic. For this reason, we are making Translatio Imperii Sinici — the continuities of rule and empire in the Chinese world — the focus of the 2019 China Heritage Annual. The Latin expression ‘Translatio Imperii‘ generally refers to the centuries-long contest within Europe as to whether France or Britain were the true heirs to the succession of authority, the political grandeur, and the varied legacies, of Imperial Rome (Imperium Rōmānum, 27 BCE-284 CE), as well as all that denoted in regard to political imagination, governance, laws, philosophy, architecture and the arts. The Pax Britannica of the nineteenth century would be compared to the Pax Romana nearly two millennia earlier, just as, following World War II, the Pax Americana was hailed as ushering in a new global age that also trailed clouds of Roman glory. We are all Greeks. Our laws, our literature, our religion, our arts have their root in Greece. But for Greece — Rome, the instructor, the conqueror, or the metropolis of our ancestors, would have spread no illumination with her arms, and we might still have been savages and idolaters; or, what is worse, might have arrived at such a stagnant and miserable state of social institution as China and Japan possess. Like wrecks of a dissolving dream…. In 2019, the world is experiencing a new age of autocracy and contested empire. It is an era in which, yet again, the world seems ‘weary of the past’, a time in which ‘hate and death return’. Well may we question whether ‘Heaven smiles, and faiths and empires gleam’. From the 1917 Russian Revolution, the socialist camp would also lay claim to the legacy of imperial Rome and, in the 1930s, as Moscow was envisaged, and redesigned, as the centre of world revolution, Soviet architects were instructed to emulate some of the great Roman buildings, as well as the monumental Renaissance architecture that they had inspired throughout Europe. For example, Red Square, the focal point for displays of revolutionary ardour and military might, was designed in imitation of the Roman Forum; other Stalinist architectural gestures similarly recast venerable models from the imperial era. In turn, the grandiloquent design of Red Square would inspire the vast scale, and pomposity, of Tiananmen Square in the heart of Beijing, the capital of New China which, in the 1960s would vie to become worthy of the mantle of world revolutionary leader. The topic of ‘Empire’ has enjoyed renewed debate among historians and political scientists for over a decade, and it has featured in our own work since the launch of China Heritage Quarterly in 2005 and through our advocacy of New Sinology 後漢學. It was a particular focus of my 2008 book The Forbidden City, as well as being prominent in the joint academic discussion of China’s Prosperous Age 盛世 from 2010, and in a collective undertaking to ‘Re-read Joseph Levenson’ over the years 2012 to 2014 (see The Practice of History and China Today, The China Story, 25 August 2015). My interest in the topic really began to take form in 1994, having been introduced to the work of Charles Moore in Los Angeles after my first trip to Las Vegas. My own account of ‘Learning from Las Vegas’ will be the topic of a future chapter in this Annual. To a certain extent, our consideration of Translatio Imperii Sinici and the re-making of empire in China has its origins in the years following Mao Zedong’s demise in 1976, even if it took decades to frame them in something approaching a coherent fashion. Inspired by Simon Leys’s observations in Chinese Shadows — quoted in the conclusion to this introduction — these cogitations took nascent form as a result of some sobering events in Beijing during the year 1979. For, even as the Communist Party was launching the country on a path to post-Mao economic transformation, the salvaging of Mao Zedong, and by extension of the People’s Republic of China itself, was well under way. In 1979, voices of protests warned that Deng Xiaoping may well prove to be a new autocrat 獨栽者 dúcáizhě, and he soon proved the point by ordering the detention of the dissident Wei Jingsheng and quelling of public protest at Democracy Wall 西單民主牆. Advised by Hu Qiaomu 胡喬木, Deng Liqun 鄧力群, as well as by their fellow Maoists-at-Heart, the Communist Party announced Four Basic Principles 四項基本原則 which were formulated to rationalise and strengthen the one-party state. Those developments, and the subsequent ideological, cultural and political purges of the 1980s, prepared, both by design and as a result of happenstance, the way for the rise today of another autocrat with global ambitions. What may now seem to have been the inevitable rise of a latter-day ‘Chinese Napoleon’ (or a new-age Qianlong, as some have suggested) was, at that time at least, already clearly evident in terms of 勢 shì — potential, propensity and possibility. 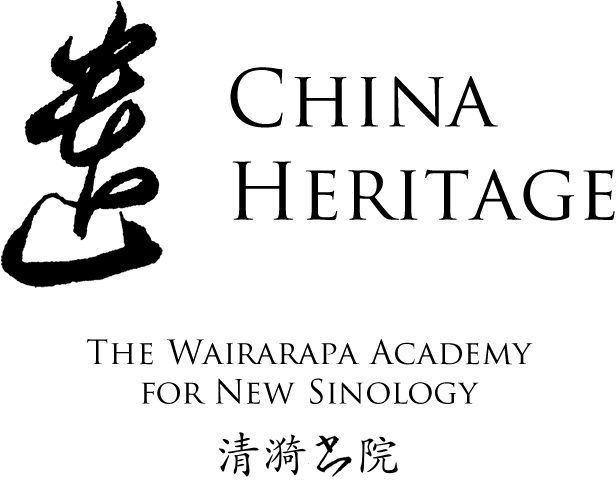 The particular confluence of ideas, events, personalities and history that has contributed to our focus on Translatio Imperii Sinici, including a discussion of 勢 shì, will feature in future chapters in China Heritage Annual 2019. For the moment, let’s return to wartime Yan’an. For the background of China Heritage Annual, see the Editor’s Note at the end of this essay. My thanks to Annie Ren 任路曼 and Callum Smith for their assistance. The delegation that visited Yan’an in July 1945 also included Fu Sinian (傅斯年, 1896-1950), a respected May Fourth-era activist and a leading historian who, among other things, had been writing A Revolutionary History of the Chinese Nation. Fu was a student leader during the 4 May 1919 demonstrations, and was already an established cultural figure when he encountered Mao, a lowly library assistant at Peking University. The Communist leader recalled with chagrin that famous men like Fu had no time for a country bumpkin like himself. 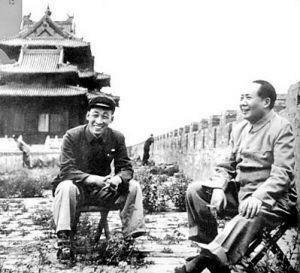 When they met again in Yan’an in 1945, however, Mao did not mention his long-harboured grievance. 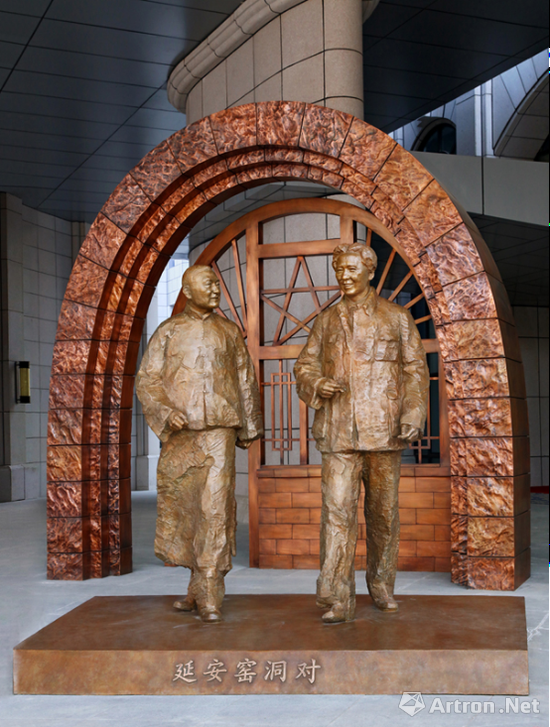 Instead, during the course of a private conversation, also on 4 July, Mao praised Fu for his intellectual contributions to the anti-feudal push of the May Fourth era, which itself helped engender the creation of the Communist Party. With suitable modesty Fu responded that his generation of agitators were like the upstarts Chen Sheng 陳勝 and Wu Guang 吳廣 who had rebelled against the tyranny of the Qin dynasty (second century BCE); it was Mao and his colleagues who were the real heroes, like Liu Bang 劉邦 and Xiang Yu 項羽. After all, Liu Bang went on to become the founding emperor of the Han, one of the greatest dynasties in Chinese history. It was a tactful response, one that flattered the Communist leader while preserving Fu’s own sense of dignity. It was an exchange also well suited to Yan’an, which was in the heartland of the area that formed the core of the Qin empire over two millennia earlier. 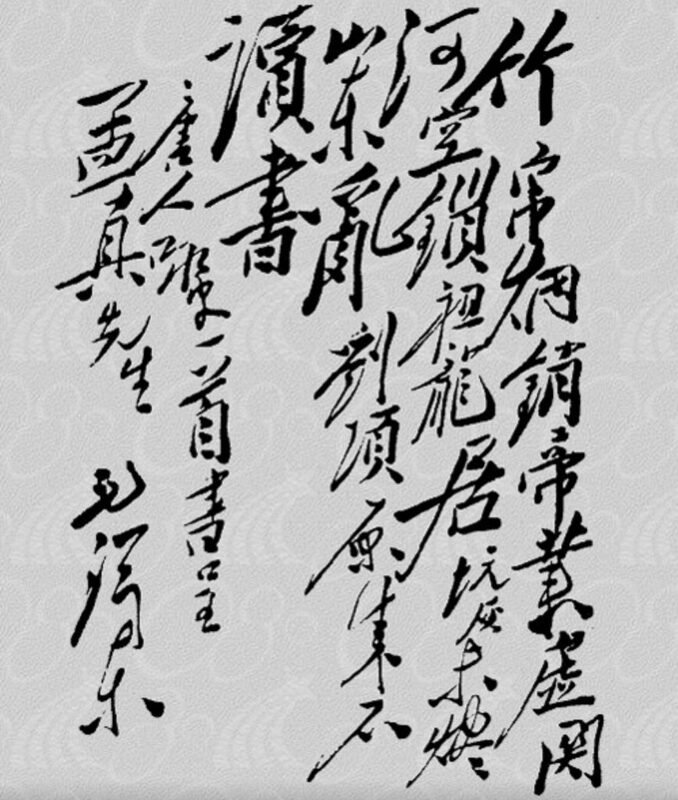 As was common practice among men of letters at the time, Fu asked Mao for a piece of calligraphy as a memento of their encounter. The following day he received a hand-written copy of ‘The Pit of Burned Books’ 焚書坑 by the late-Tang poet Zhang Jie (章碣, eighth century CE). In the accompanying note Mao remarked, ‘I fear you were being too self-effacing when you spoke of Chen Sheng and Wu Guang…. I’ve copied out a poem by a Tang writer to expand [on our discussion]’. The poem spoke of the vain attempt by the First Emperor of the Qin to quell opposition to his draconian rule by burning books and burying scholars. The Dragon lineage trapped in its lair. Had no use for letters. Offering Fu this poem was a caustic way for Mao to chide a man who had been at the intellectual forefront for many years. In effect, he was saying that Fu Sinian’s rebellion against the feudal traditions of China was vainglorious, more so even than the failed uprising of the peasant rebels Chen Sheng and Wu Guang against the Qin. Besides, real heroes like Liu Bang and Xiang Yu were men of action and cared not for book learning — to Mao the fatal flaw of so many May Fourth era intellectual activists, despite his own bookish obsessions. Mao’s false modesty in claiming that he and his cohort were, like Liu and Xiang, unlettered rebels, also betrayed a confidence that he would lead the Communist army to victory over the existing political order. It was a theme to which he would return many times. And, under Mao, the First Emperor of the Qin would become a positive symbol of unity, political acumen and uncompromising principles. Despite the odium associated both with him, and Mao, the First Emperor still has a unique position in the Communist pantheon of progressive feudal rulers, a subject we will discuss elsewhere. In the exchange with Fu Sinian, coupled with the publication of Mao’s famous poem ‘Snow’ 雪 later that same year, we see evidence of both the hauteur of the Communist leader and his ambivalence in regard to traditional rulership (for more on this, see For Truly Great Men, Look to This Age Alone, China Heritage, 27 January 2018). He evokes that tradition both through historical reference and in actual practice. By placing his cause, and that of the Chinese people, in the context of dynastic-era peasant uprisings, Mao Zedong expressly, and repeatedly, identified with a history of rebellion. He declared that this latest uprising, led by a proletarian vanguard and directed by visionary revolutionary leaders with a modern anti-feudal political philosophy, would break the dynastic cycle forever (the persistent dangers of the ‘cyclical law’ of autocracy were famously discussed by the educationalist Huang Yanpei during his own meeting with Mao in Yan’an) and found a new government that would outshine in achievement all the greatness of the past. It was this same ambivalence — a claim both for legitimacy in traditional terms and a self-identification with the role of rebel outsider at war with the past — that would be evident a few years later when the Communist forces marched on the old imperial capital of Beiping (Beijing). Regardless of arguments about how ‘new’ the New China may or may not be or, more recently, that Xi Jinping’s vaunted New Epoch 新時期 lays claim to being some unique historical moment, the Chinese party-state has from 1949 frequently manipulated imperial metaphors as part of its seventy-year-long effort to Make China Great Again under its aegis. This has been particularly evident from the 1990s. Since then, the Party has made an uncomfortable peace with the Manchu-Qing dynasty (1644-1912), the rulership of which was long excoriated as being responsible for China’s ‘century of humiliation’. With the disavowal of revolution in favour of rulership, the Communists have in numerous ways asserted their right not only to lead China in new directions, but also to be regarded in the lineage of legitimate political succession 正統 zhèng tǒng, rightfully to maintain a stranglehold on the holistic unity of power, thought, society and culture 大一統 dà yī tǒng and represent cultural orthodoxy 道統 dào tǒng, the history of which is ascribed as dating back to the first empire, the Qin dynasty, in the second century BCE. To that end, formidable party-empire-state-building enterprises, including, from 1992, major projects to rework Chinese history and every aspect of culture and heritage according to the Party’s vision of and for China, have been launched and funded generously. Throughout their rule, Mao and his supporters would use the symbols and language of the dynastic past and convert them into elements of their own political performances and vocabulary. They employed tradition when it suited them and repudiated it when the need arose. … The Forbidden City and the China that it represented … retained a power that was not so easily dispelled. While its buildings were subject to decay and change, the China of secretive politics, rigid political codes and autocratic behaviour continued to exert an influence far beyond the walls of the former palace. In China, the majority of individuals endowed with a powerful ambition have from antiquity onwards dreamed of becoming emperor … . This kind of ambitious person has always existed in all periods of history. When I began to advocate revolution, six or seven out of ten of those who rallied around were harbouring this type of imperial dream at the outset. But our aim in spreading the revolutionary ideal was not only to overthrow the Manchu dynasty, it was in fact to set up the republic. We therefore gradually succeeded in ridding the majority of these individuals of their imperial ambitions. Nevertheless, there remained among them one or two who, as much as thirteen years after the founding of the republic, had not yet abandoned their old ambition of becoming emperor, and it was for this very reason that even in the ranks of the revolutionary party people were continually cutting each other’s throats … . If everyone retains this imperial mentality, a situation arises where comrades fight each other, and the whole population of the country is divided against itself. When these unceasing fratricidal struggles spread throughout the country, the population is overwhelmed by endless calamities … . Thus in the history of China through the generations, the imperial throne has always been fought over, and all the periods of anarchy which the country has then gone through have had their origin in this struggle for the throne. … In China there has for the last few thousand years been a continual struggle around the single issue of who is become emperor! A countersuperstition is not less a superstition: under the old regime town walls were venerated; under the new one they are under attack. The fury of the iconoclasts is a negative measurement of the permanence of the sacred powers that ruled feudal society. The tragedy is that the sacred powers dwell not in those innocent stones, whose beauty is sacrificed in vain, but in the minds of the wreckers. Seen in this light, the Maoist enterprise appears hopeless; the regime may well change China into a cultural desert without succeeding in exorcising the ghosts of the past: these ghosts will continue their paralyzing tyranny so long as the regime is unable to identify them within itself. But will it ever be capable of such clear vision? Certain foreign Sinologists, guilty of having noted traces of the traditional way of thinking in the Maoist systems, are the focus in Peking of surprising hatred out of all proportion to their limited audience or influence. This shows, I’m afraid, how little the Maoist authorities are ready to re-examine critically the old cliches in which they have locked the concepts of ‘old’ and ‘new’, ‘feudalism’ and ‘progress’, ‘reaction’ and ‘revolution’. By refusing to examine the nature and identity of its revolution in depth, the People’s Republic condemns itself to marking time, to struggling in the dark, producing such periodic sterile explosions as the Cultural Revolution. It can have little hope of liberating itself from the slavery of the past as long as it hunts it among old stones, instead of denouncing its active reincarnation in the ideology and political practices of the new mandarins. China Heritage Annual is a series produced by China Heritage, the online home of The Wairarapa Academy for New Sinology 白水書院. Along with the China Heritage Journal it is a successor to China Heritage Quarterly, an e-publication produced under the aegis of the China Heritage Project from 2005 to 2012. Over the years, China Heritage Quarterly published issues focussed on a number of cities, their history, politics and culture: Beijing, Shanghai, Tianjin and Hangzhou/ West Lake. The inaugural issue of China Heritage Annual, published during 2017, was devoted to the city of Nanking. New material is still being added to the inaugural volume, as it is to the 2018 issue on the theme of Watching China Watching.